Hi mina-san here is my latest wallpaper, make to Shiratori-san and background was rather hard but finally ended it. I hope you like it. Matane! i realla ylike it! Mahoraba is one of my favs at the moment! i have looked a long time for walls! i love it!!!! the clouds are nice and the trees too, so is the scan you used...very very very nice!! Mahoraba wallpapers are far too few in number. Especially nice ones like this. This one really captures the atmosphere of the show wonderfully. Great work. Did you made the whole background? Wow!! XD XD It looks very nice. You really did a great job. I really like it. The colors look very nice. I really like the way you made the trees. They look realistic. XD The extraction of the image is nice. cool wall!! really like the background! the trees and the sky are every nice and the sunlight looks really pretty as well^^ great job! and keep up the good work! whoo!!! 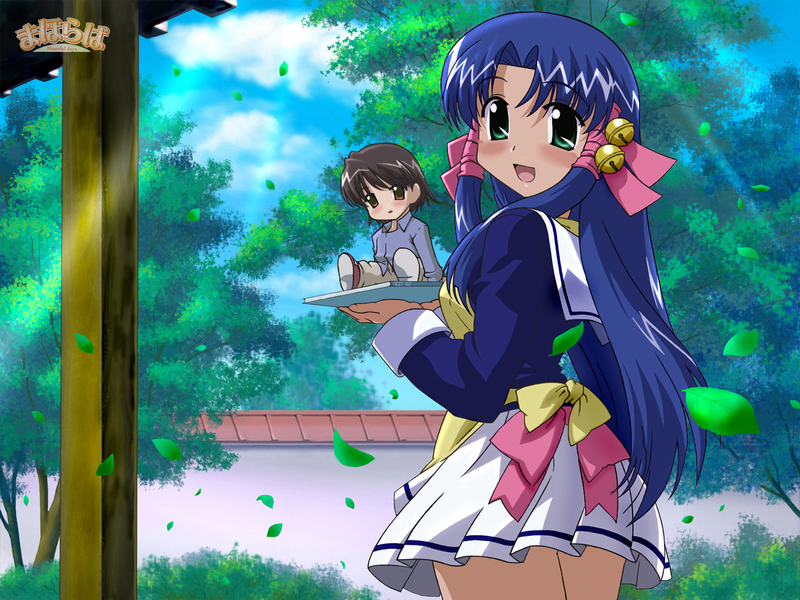 great is so kawaii.. she looks so cute, and exelent quualite i love mahoro. kawaii!!! Cute wall! I agree, we definitely need more for Mahoraba. A underappreciated series and one of the best IMO of 2005. Guaranteed to make anyone feel good after watching an episode. Heartful, indeed. this is a very nicely done wallpaper. There aren't much mahoraba wallpapers around so this one's a keeper!